Paul is a highly-skilled architect with more than 30 years of experience including; master planning, programming, cost estimating, analyzing existing buildings, space planning, project design, interior design, and construction administration. Paul has distinguished himself as a nationally recognized expert in Aviation Planning. In his delivery of Public Architecture, Paul has proven his talents as a problem solver delivering cost-effective design solutions to clients across a diverse range of project types. His experience working with public agencies has facilitated the visioning and programming of countless building projects. He leads The KPA Group with passion and dedication through his awareness of the needs of the team and our clients. Tom is an experienced architect and structural engineer. He is a highly skilled project manager of all types of construction with over 35 years of experience. Tom has a diverse background in various types of projects including airport structures and aprons, hospitals and clinics, automobile dealerships and lots, office and retail buildings, academic facilities, and site development. 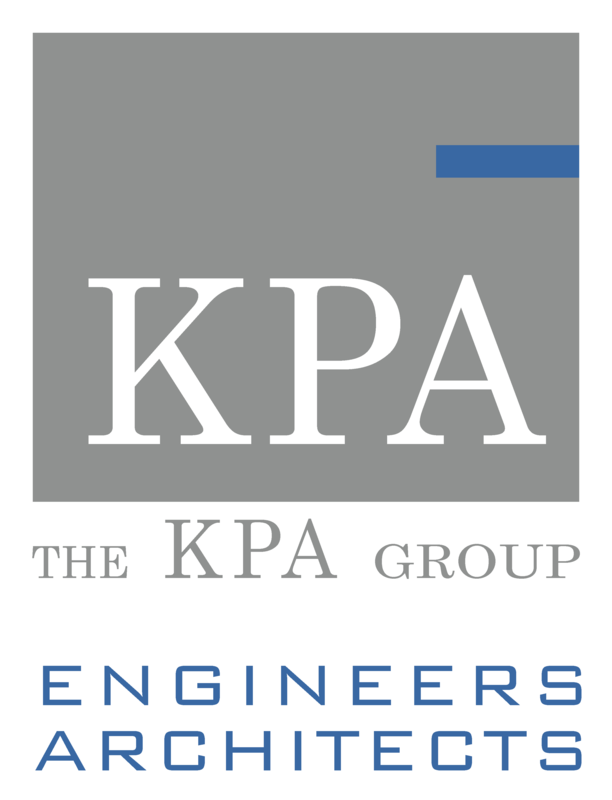 His experience lends to the tailored design process our clients have come to expect from The KPA Group. Marty has been leading the production of quality construction drawings for over 30 years. His experience is derived from leading the technical efforts in projects of all types. He plays a critical role in mentoring KPA’s design staff in technical resolution, design methodology and standards. Marty’s attention to detail and coordination of multiple building systems supports The KPA Group’s reputation for first class drawings which result in higher contractor production, less errors and control of construction cost. Brenda is a people-centric, veteran problem solver who approaches each opportunity with experienced confidence and balanced dynamics. She leads business operations and planning while supporting KPA’s clients design goals. Client satisfaction and team building have been her trademark for over 20 years. Matt’s environmental science expertise shapes sustainable solutions by gathering geographical and technical data and applying it to building improvements and design. Matt’s knowledge of a wide variety of services benefits the team onsite with trust and professionalism. He works closely with architects and structural engineers to help meet the clients’ goals. Agnes's international background in art and design is elegantly incorporated into her design solutions. She is a team leader and manages a diverse range of projects. Agnes has proven herself a gifted Interior Designer and she recently received her VA-SEPS certificate as part of an ongoing commitment to meet and exceed the expectations of The KPA Group's clients. Hannah is a designer in both the fields of architecture and structural engineering. She is fully motivated and engaged in today's building industry challenges and codes. She intuitively understands the criteria and nuances that make for beautiful and structurally sound designs. Hannah's background is ideal for projects that require meeting accessibility and blast design requirements, city and county facilities assessments, retrofits, residential structures and public interior design. The KPA Group believes collaboration and innovation lead to design solutions that not only satisfy, but consistently exceed our clients’ expectations. Our clients and project variety include federal, state and local governments, high profile public buildings, airport terminals, aviation planning, public and private universities, schools, vehicle, maintenance and emerging facilities, fire stations, food plants, health care, roads, planning and peer review. We successfully deliver services employing the methods of Design-Build, Phased Delivery, as well as Design-Bid-Build Construction. The KPA Group has won numerous awards and is recognized for creative solutions, cost-effective designs, timely responses and commitment to personal service in the delivery process. We are a strong reliable partner for new projects, modernization, retrofits and expansions. Collaboration with clients, building officials, builders and owners lead to innovation and is the cornerstone of our design process. We pride ourselves in our ability to build and maintain long term relationships with our clients by listening to their aspirations and objectives. We apply this depth of understanding to our design processes, which are tailored to our clients’ specific project goals. Butte, Montana is the largest National Historic landmark district in the United States. Its rich history originates from early days as a mining camp when Butte was the largest city west of the Mississippi River between Chicago and San Francisco. The opening of the Berkeley Pit in 1955 marked a transition of labor from historic underground mining to open pit mining. Many of the forms implemented in the design come from this historic background. With that in mind, the design approach became a modern interpretation of a Montana mining theme. At 32,000 square feet, the entry, baggage claim and holdroom are focal points in the design. The exterior canopies welcome visitors and passengers with their historic forms. The holdroom features custom designs that reminisce on mining practices. The program additionally includes car rental, concession, and airport administration areas. A passenger’s journey from the front doors of the terminal to the aircraft is sure to be enticed with historic value and ease of circulation. The scope of this project consists of a major renovation of the Security Screening Checkpoint of the established Terminal 3 East (T3E). This expansion and renovation project allows space for a new passenger security checkpoint. Significant effort was required to prepare phasing documents to allow continuous airport and terminal operations. This project was focused on improving the quality and service of security for air travelers passing through the airport. TSA security screening can be a stressful process for some people, and any way that this process can be improved will benefit travelers and employees. By rigidly defining secure and unsecure areas, including retail and concessions, equipment rooms, toilets and offices, a more organized and safe security screening can take place, saving travelers time and effort. The KPA Group served as the Architect of Record and Structural Engineer for the Terminal 3 Boarding Area E Design Build project, opening January 2014. T3E was sustain ably renovated and expanded to provide 10 gates. The project was originally slated to be a simple paint & polish renovation, but due to the success of Terminal 2, the Airport Commission determined that a complete renovation could best serve passengers. This renovation showcases innovative design, interactive technology and a healthy environment to offer travelers a relaxing, enjoyable space. Due to collaboration between the design teams and comprehensive problem solving, the project pursued and was awarded LEED Gold. Terminal 3 Boarding Area E is a sleek, clean project that highlights some of San Francisco’s cultural values, and addresses how people move through a modern airport terminal and what they need to make their trip more enjoyable. The KPA Group received the Ruby Award from the International Partnership Institute for our excellent work in coordination and partnering throughout the project. Built in 1904, the five story Folgers Coffee Building sits less than two blocks from the San Francisco Bay. The 1989 Loma Prieta Earthquake spawned a small renovation boom, and this building was no exception. The extensive seismic renovation, electrical, HVAC and plumbing systems upgrade and an aesthetic renovation transformed the aging facility into a highly desirable space for tenants. The building was heavily seismically renovated, which included adding shear walls, lateral load-reducing systems, columns and replacing floors to realign the structure. The rough-textured rose terra cotta window sills and ironwork balconies of this iconic historical coffee roasting facility still look upon beautiful San Francisco, as they have for over a hundred years. KPA received the Building Owners and Managers Association Award for the excellent services provided. This eight story teaching and laboratory building on the San Francisco State University Campus is home to a nearly unequaled Genetics program and an electronic microscope. The KPA Group provided structural engineering services for seismic renovations and interior modifications of the building. A unique external strengthening system was proposed, which limits disruption of scientific equipment and permits continued occupancy and use of the building. The buttresses now in place respond well to the architecture and will effectively stabilize the building in the event of seismic activity. College Terrace Library is in the center of a well-established residential neighborhood in Palo Alto, CA. Originally designed as a library and community space, the 4,800 SF Spanish Eclectic style building is ornate and displays extensive decorative ironwork and wood trimming. In 2008, the building was reclassified as a “Category 2: Major Building” which identifies buildings of “major regional importance, meritorious works of the best architects”. This building represents a well preserved example of the areas architecture. The project program called for a seismic retrofit, rehabilitation of interior spaces, replacement of utilities and addition of fire sprinklers, all while preserving historic features. The fully rehabilitated College Terrace Library has faithfully preserved its historic heritage while incorporation contemporary functions. The completed retrofitted project was well received by the City of Palo Alto and the community who selected this project. KPA received the Palo Alto Stanford Heritage Award for the success of the project. This historic terra-cotta and marble clad structure was damaged by the Loma Prieta Earthquake in 1989, requiring structural renovations and seismic upgrading. 60,000 SF of renovations and 90,000 SF of new construction was commissioned by the City of Oakland to breathe new life into this historic downtown building. A new structure located behind the building is the new seismic bracing element, thereby preserving the important historic features on both the interior and exterior. This allows the original design intent to show through, while the building is protected and maintained for years to come. The structural engineering performed by The KPA Group has allowed this historic building to remain a useful icon in downtown Oakland. The KPA Group provided architecture, structural engineering, seismic retrofitting and coordination services for this project to renovate the historic Fox Theater and associated wrap-around office building in downtown Oakland. Once renovated (73,000 SF) the theater will house a cabaret style venue and The Oakland School for the Performing Arts. The project includes various improvements to the 1920’s era construction including restoration of the exterior historic façade and two new 3-story additions (32,000 SF) for the school. The KPA Group received the 2010 Finalist Project Award from the National Council of Structural Engineers Association in recognition of exceptional merit of this project in the forensic, renovation, retrofit and rehabilitation category. The seven-story historic Rotunda Building features a magnificent 120-foot high atrium topped by an oval glass dome. The structure consists of two separate buildings with the glass Rotunda itself located in the seven-story steel framed structure constructed in 1920. The second building is a concrete structure. The façade of both buildings is brick. During the 1989 Loma Prieta earthquake there was substantial damage above the 3rd level in the exterior thin shear walls of the building. The brick façade was also damaged. Much of the damage to the brick was caused by the two buildings pounding against each other. The KPA Group designed a structural retrofit system which preserved the historic fabric of the building, minimized inter-story deformation and kept the deflections at the top of the roof to a minimum. To achieve this a system of approximately 40 feet long, 16-inch thick shear walls were added to the interior of the building, unusually the shear walls were provided for the full height of the building. To anchor these walls to the ground, a system of anchors were installed approximately 80 feet deep. The two buildings were tied together to prevent pounding. Preserving a building like this was a great opportunity to help Oakland retain some of its pre-quake history. The KPA Group provided architectural and structural engineering services for a 40,000sf and 22,000sf renovations for the Contra Costa County Department of Conservation and Developments. Our attention to energy performance achieved the County’s first LEED Gold certification buildings. Through active engagement and working with the two departments, The KPA was able to renovate and design spaces that match the tenant’s specific needs. The KPA Group evaluated four major public facilities in the Richmond Civic Center including: the City Hall, Hall of Justice, Auditorium and Library through highly precise and detailed 3D analytical models. The KPA Group provided enhanced seismic retrofit assessments and solutions for the four facilities. KPA’s attention to detail ensured that the facilities maintained the historic atmosphere of the exterior, modernized the interiors and created an inviting and friendly public plaza that interconnects all parts of the Civic Center. The project received accolades including the AIA Historic Preservation and Innovation Award, the DBIA’s Regional Award for Rehabilitation/ Renovation/ Restoration while also achieving two LEED Gold Certifications and winning the Best of 2008 Overall Top Project Award from California Magazine. The completed project officially opened in late 2009 and continues to play an important role in revitalizing the City of Richmond. In the design and construction of the new East County Hall of Justice for Alameda County, The KPA Group provided full structural engineering services, taking advantage of their experienced senior associates who bring a wide range of project types to the table. This $147 million public facility was completed in 2017 and is made of two buildings designed to exist adjacent to one another on the same site. The taller of the two at five stories is a total of 156,000 square feet featuring a new courthouse and the support facilities including holding cells and jury assembly areas. The second facility is the Alameda County Judicial Office Building, at a total of 43,000 square feet and two stories the building will house office space for county officials including the Probation Department, The District Attorney and the Public Defender. A 12-story tower and low rise segment including 172 guest rooms over a 3-level 187-car parking structure, new banquet and conference facilities and dinner theater. This building was designed and detailed for typhoon winds of 160+ MPH and for tropical exposure conditions. The KPA Group provided structural engineering services for this six-story steel and cast-in-place concrete office building over a three-story parking structure set into a steep hill site adjacent to Interstate 280. Swan’s Market is comprised of historic one and two-story buildings located at Washington Street between 9th and 10th Streets in Oakland. The project involved seismically retrofitting Building I, an existing one-story high bay building. Additional mezzanine floors were added to incorporate live-work units and a system of steel braces and masonry shear walls were used to resist seismic forces. After being retrofitted, Building II (the original two-story market building), became the new market at 9th Street. At least 80% of the existing historic structure was preserved. Building III consists of new three-story retail and apartment units constructed of wood framing. Structural steel beams and braces were used to support large open areas of retail spaces on the first floor. A system of plywood walls and steel braces were used to resist seismic forces. This new 185,000 sq. ft. research facility includes 3 levels of parking, one of which is below grade, one level of laboratory space and one of offices. The architecture features extensive glass lines and metal cladding, complementing the modern steel and traditional brick construction of adjacent structures in Aquatic Park, a multi building office complex in an industrial area of Berkeley, California. The project was designed to suit Bayer Diagnostics for their development of automated laboratory diagnostic equipment and production of reagent supply packages. The building is designed to allow for future program changes via an accessible interstitial utility distribution core. The KPA Group led the remodel and conversion of the VAPAHCS’ coffee service area, vending and office space into the new Canteen Coffee Shop. This new coffee shop serves the main hospital at VAPAHCS and offers a new exterior plaza, customer seating area, library and lounge that are all connected by Wi-Fi. This fully integrated space offers a place for hospital staff, patients and visitors to unwind and relax whether it’s by getting a cup of coffee or sitting down with a book for a few minutes. The KPA Group worked with the VAPAHCS and the coffee vendor (Starbucks) to create an environment that would provide its users with a multitude of seating options as well as the ability to connect to the internet from anywhere. The KPA Group provided architectural, structural and planning services to the remodel, conversion and addition of a VAPAHCS Sunnyvale building. The remodel and conversion of an existing 50,000 SF office building as well as the addition of a new lobby and additional office spaces, helped to provide the VA with a modern and welcoming environment for its users. With three phases of planning and construction, the building remodel, site utility design, seismic retrofit, fire protection system and site infrastructure was all designed as part of a future development plan for the VAPAHCS Sunnyvale campus. With an additional 37,000 SF to be added to the original building, the KPA group was able to turn a 1960s satellite testing facility into a modernized office space with labs in order to better serve the VA and US Veterans. The KPA Group provided structural engineering design of a new elementary school campus consisting of multi-buildings with various geometric shapes and details for 600 students. Buildings include a multi-purpose room, Library, Administration, Kindergarten and 4 classroom buildings, all Type V. This project was featured in Architectural Record 1993. Addition of a new 5-story wing and remodel and upgrade of the existing Frederick Burk Education Building, consisting of clinics, laboratory, administrative and conference spaces. The renovation includes a novel staggered shear wall system developed by the firm. The structural renovation system was presented at the ACI Conference in San Francisco. The KPA Group provided structural engineering design of this 3-story research laboratory and office facility. Project consists of remodeling an existing classroom to better serve the needs of Yuba College Radiologic Technology Program. Currently, the program uses a trailer for teaching, where students are able to use simulation X-Ray tables on various props. In order to provide a more realistic environment and education, the college desires to build an active X-Ray machine room, which represents real world processes. The remodel will provide an enclosed room (roughly 12’x15′) within a large existing classroom. This project will significantly improve the educational experience for students, allowing them to experience the entire radiologic procedure. In addition, the school also has remote teaching locations which lack certain teaching infrastructure. The remodel of the project will also convert the classroom into a more modern classroom, allowing remote teaching locations to be connected to the classroom via audio and visual equipment. Modernizing the classroom will provide a more user-friendly experience for the 21st century student. The KPA Group provided design services for new ADA accessible entries in three locations on Stanford University’s campus which include Black Community Center, Native American Center and Roscoe Maples Pavilion. Project detailing followed the university’s standards and complemented the existing finishes and site work. This project included Seismic Evaluations of 4 buildings on the CSU Fresno Campus which include Family & Food Sciences Building, Mckee Fisk Building, Psychology and Human Services Building and Social Science Building. The buildings were evaluated for Life Safety and Collapse Prevention performance based on the CSU Seismic Requirements and ASCE 41. KPA worked with CSU’s peer reviewer to develop a series of reports in a consistent format similar to a template that described the building systems, expected performance, and any recommendations. This project included Seismic Evaluations of 2 buildings on the CSU Sacramento Campus which include Alpine Hall and Brighton Hall. The buildings were evaluated for Life Safety and Collapse Prevention performance based on the CSU Seismic Requirements and ASCE 41. KPA worked with CSU’s peer reviewer to develop a series of reports in a consistent format similar to a template that described the building systems, expected performance, and any recommendations. The KPA Group provided a number of different seismic upgrade schemes to the client who chose an external shear wall system. The selected design incorporates a phasing plan which permitted occupancy during the construction period and a minimum of disruption. Work included facade upgrade, laboratory modifications, ADA and fire and life safety upgrades. The KPA group provided structural engineering services as well as being the Engineer of Record for the GSA Federal Building. The project was comprised of twin towers of office space, a sky bridge, a glass enclosed five story rotunda and a five story pavilion of retail, theater and cafeteria space. The 17 stories of steel framing with precast and stone exteriors was designed to maximize useable square footage while maintaining the desired aesthetic look. The design of this project was focused on improving the work environment for the GSA employees as well as providing highly functional and adaptable retail space within the limits of the building structure. By strategically working with team and its users, a new structural system was designed to update the building and its exterior and prepare it for any future modifications to the interior. With the 1989 Loma Prieta Earthquake, the Dalziel Building required seismic and structural upgrades. The 206,000 sq. ft. building and 194,000 sq. ft. parking area required sophisticated seismic analysis studies in order to plan and design the new structural system. The KPA group provided concept development of the structural system and seismic analysis of the six story building. The building consists of steel braced frames located throughout the building and by shear walls below grade. With the updated structural system, the building is fully functional and safe from seismic activity and provides a better work environment for its users. The Transamerica Pyramid stands as San Francisco’s modern sculpted monument on its city scape. The KPA Group has been providing Structural Engineering services to the Transamerica Pyramid since 1989. KPA has provided a variety of services to suit tenant’s needs including a full 3D structural analysis to better understand the response of the structure through various seismic simulations resulting in multiple seismic retrofits. Other services including floor framing modifications and Ultrasonic Examination of welded connections were performed to ensure The Pyramid’s structural integrity continues to thrive. The KPA Group also provided detailed Structural Engineering Services for strengthening and detailing the 200 foot tall spire atop to hold the new iconic laser light. This project involves the renovation of approximately 20,000 SF for the existing Building 348 located on the VA Menlo Park Campus. The renovation of the existing building will serve a 14 bed hospice inpatient facility. In addition, it will include comforting household amenities such as family lounge and day room. The design will elaborate on the existing patio to allow the residents, families and staff to easily access the outdoors. The KPA design will foster an increase of operational efficiency for the building and encourage integration and collaboration of healthcare professionals. The new Imaging Suite in Fresno, CA illustrates The KPA Group’s ability to manage the budget conscious design approach to the hospital building addition on VA Central California Health Care System’s main campus. KPA used their technical expertise in space planning and design to provide MRI, CT, PET CT, General Radiology and Ultrasound rooms to serve area veterans. The project also involved the remodeling and conversion of an existing hospital office area and addition of 6,000 square feet. Building 520 is the Mental Health facility of the VA Palo Alto Health Care System. This project involves the adaptation of existing site and building conditions to provide a complete ligature free design. At the moment some areas of the facility provide poor safety measures for its patients. KPA is working in collaboration with VA to assure that the building 520 complies with all the requirements of a Life Safety Facility. The scope includes making the patios climb free, replacing fixtures and adapting the design to comply with safety requirements.